Every day I ask myself the same thing – how did I get so lucky? I live in a country which I absolutely love – full of wild spaces, welcoming people, freedom and adventure. I have a husband who supports this crazy habit of mine whole-heartedly. To the extent that when I came back from an 8hr run through the mountains on Saturday, he had a roast ready for me cooking on the fire and cold beers in the cooler. I have a family who loves to adventure with me. 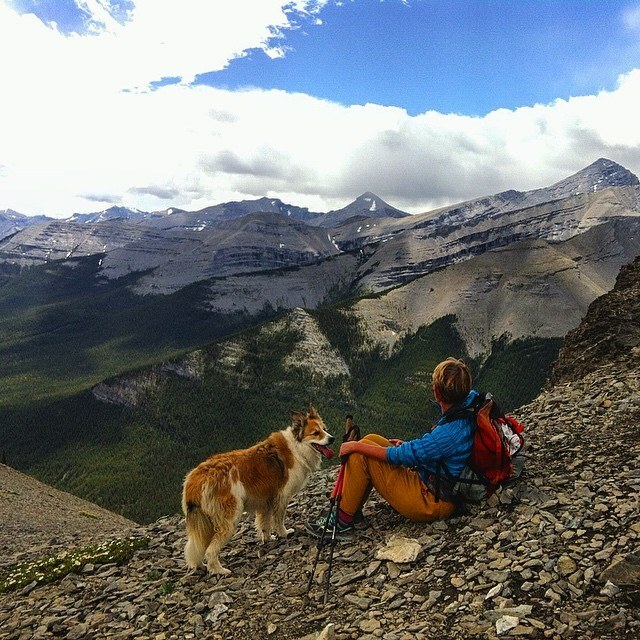 My mom will hike literally anywhere; overnight on a mountain top, along narrow mountain ridges – it’s all game. 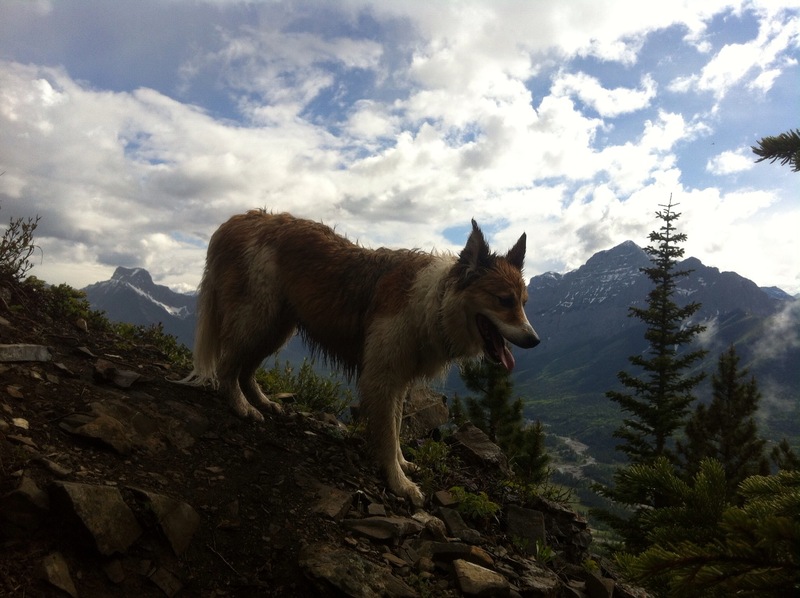 My dog, who sometimes adventures with me, and sometimes on her own, is always ready for a mountain run. I have an amazing body which seems to be able to keep going on forever. 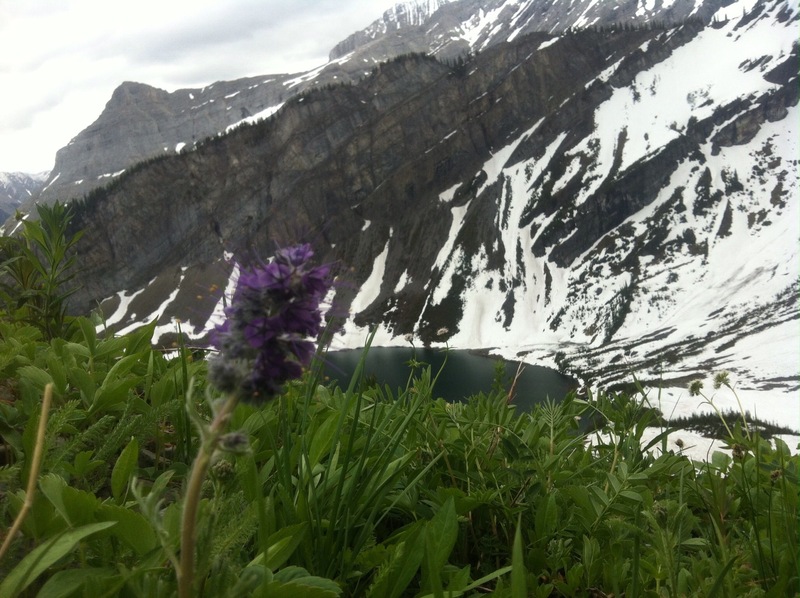 It takes me up to mountain summits, across alpine meadows and along glacial tarns. When I ask it if it wants to keep going, my body says “yes please” and pushes on. I have an incredible group of mountain running friends who inspire me to reach higher and to never settle for the status quo. Together Everyone Achieves More – cheesy, but true! This past weekend I got to celebrate all these aspects on my life. 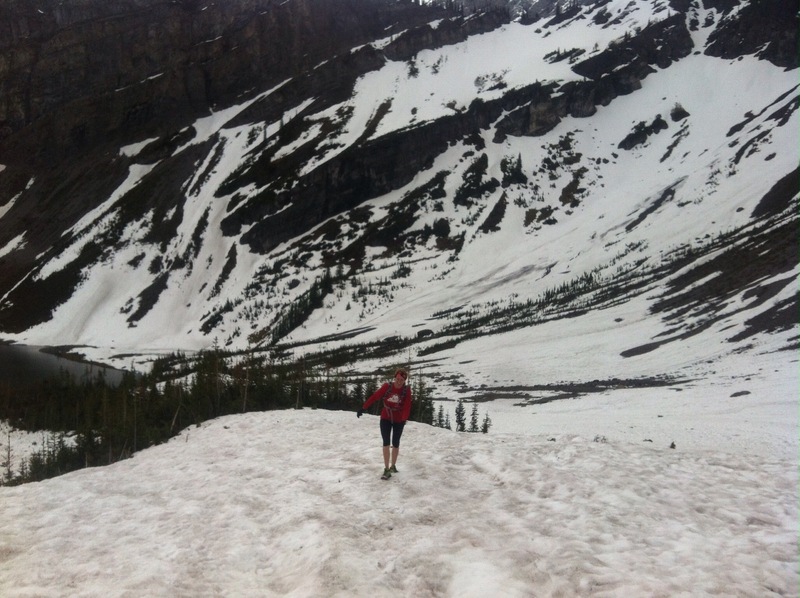 On Saturday I completed a bucket list run – the Elbow Four. 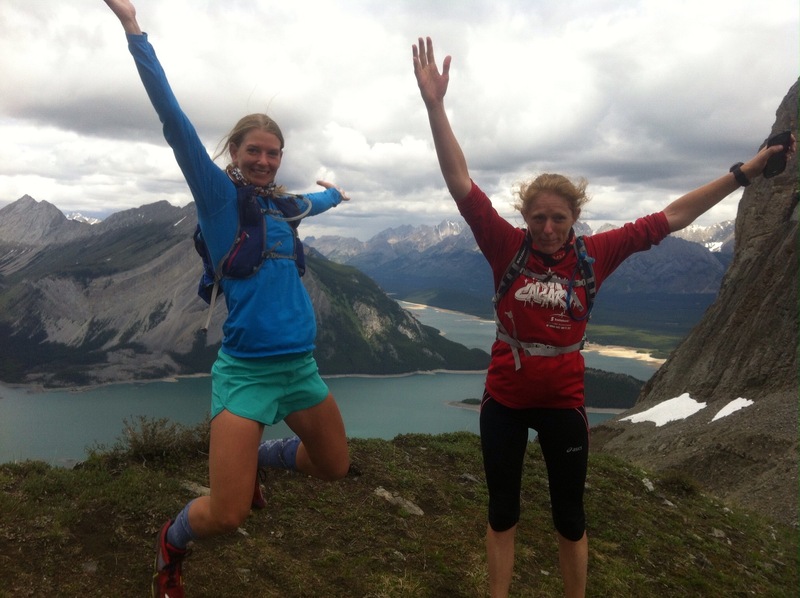 The idea for this run was originally put into my head a few years ago by my amazing mountain friend, Nicki Rehn. The basic premise of the run is to run/hike/scramble up Mount Glasgow and then traverse across to tag Cornwall, Outlaw and Banded peak. 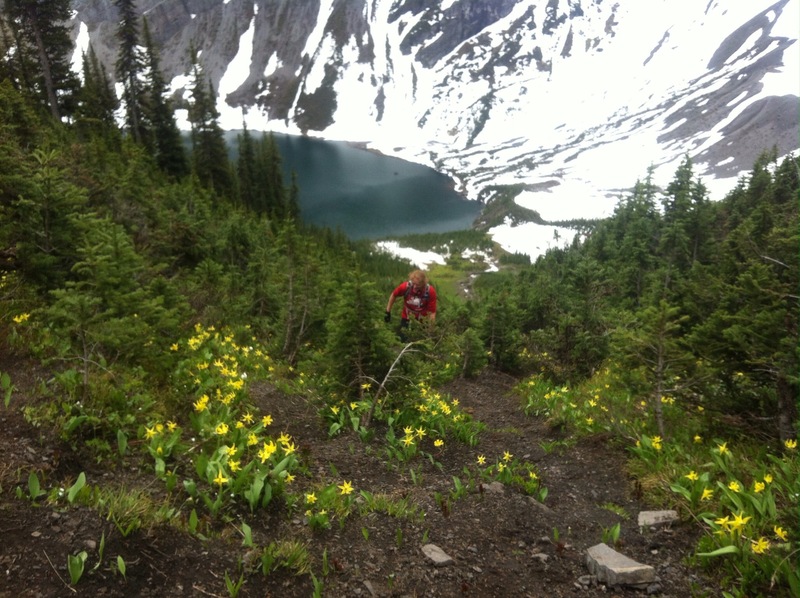 From Banded Peak you stumble down a steep drainage before running back to the start. At the time I thought the only way you could possibly complete it would be on the summer solstice, travelling form dawn ’til dusk. This entry was posted in Uncategorized on June 23, 2015 by joannaruns. Why Haven’t I Done This Before?? 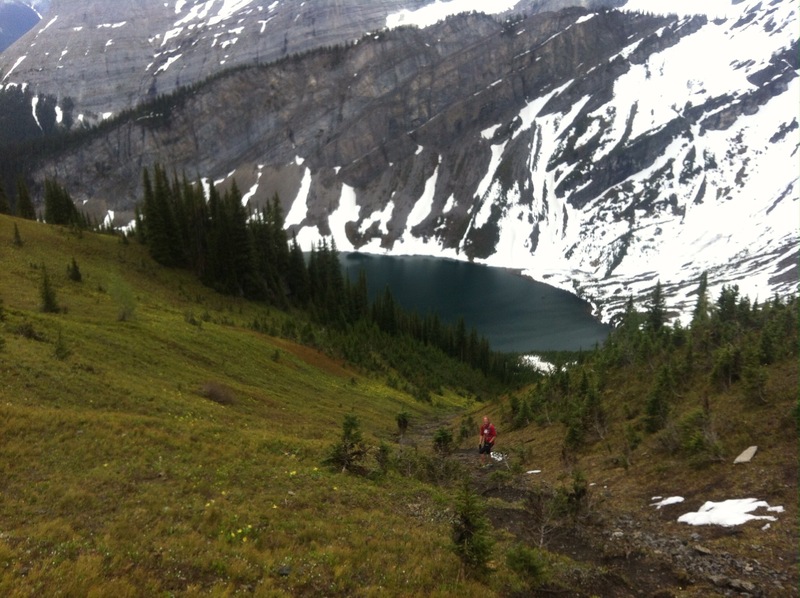 One of my favourite things about training for mountain ultras is planning my long training runs. 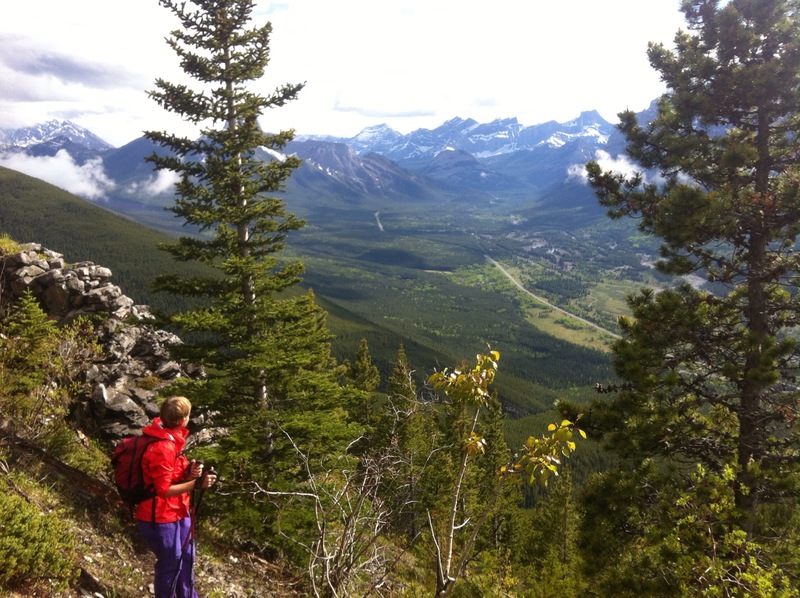 Here in the Alberta Rockies the route possibilities are endless so it can be tough to narrow down the options. When I came up with Saturday’s route I was very excited! The route was so good, that I am kind of surprised that I had never thought of doing it before. So where did we run? 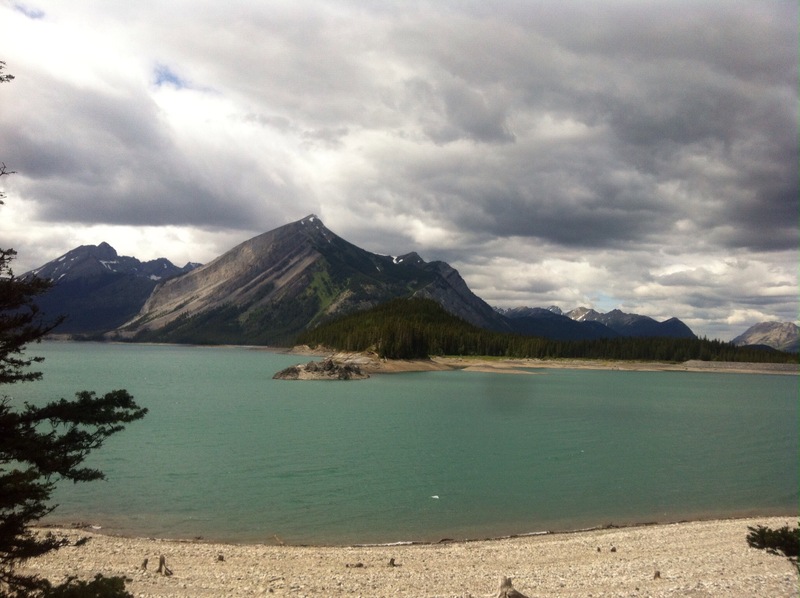 We began our adventure at the Upper Kananaskis Lakes parking lot. From there it was a very short jog before we began our ascent up Mt Indefatigable (8km round trip, 900m ascent). I had never been up this trail before, but I had been assured it was beautiful. The trail did not disappoint. 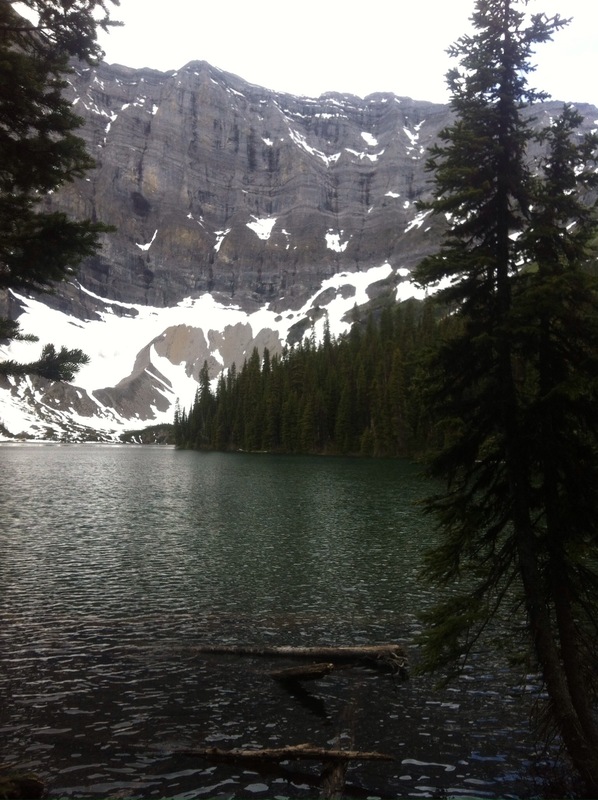 We followed that up with a short bushwhack to Hidden Lake and a jog around Upper Kananaskis Lake. 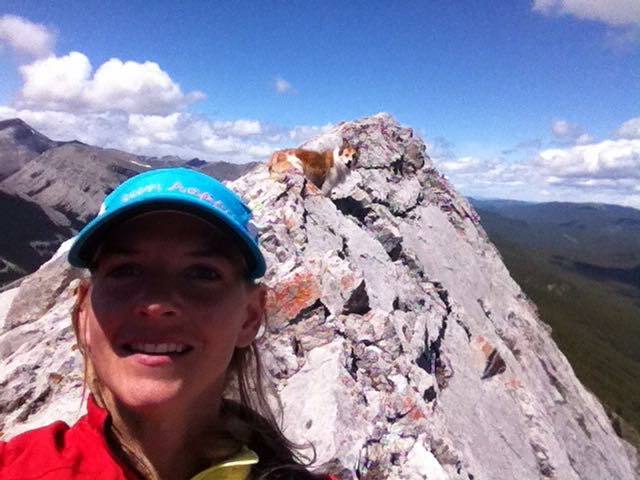 Both of us were looking to get more climbing in so we added a side trip up to Rawson Lake and The Lookout. 40km, 2000m of gain and 7hrs (including stoppage time). This entry was posted in Uncategorized on June 16, 2015 by joannaruns. There are three big weekends of training left before Sinister 7. I have so many big runs that I want to do and I can’t fit them all in! 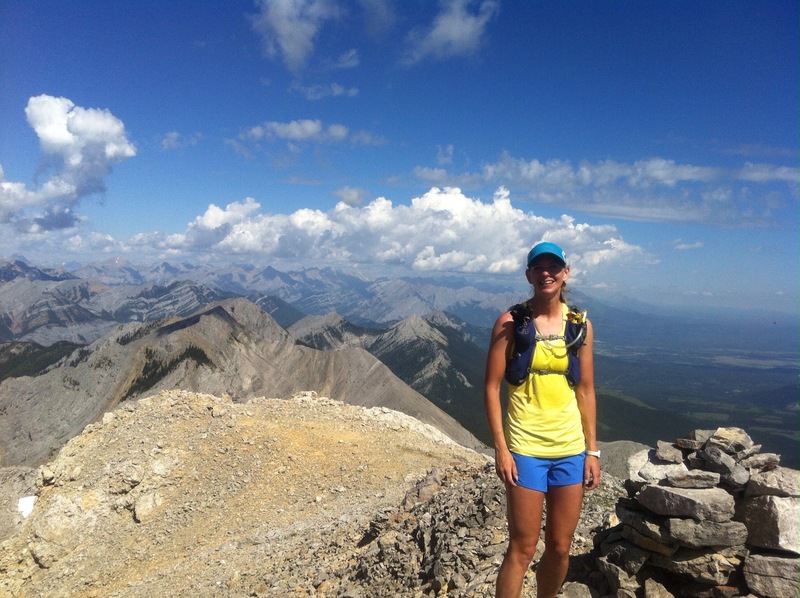 Summer in Kananaskis is the best and the worst – the best because there are so many amazing places to run, and the worst for the exact same reason. I took a vacation day on Wednesday specifically to fit in a route that I’ve been wanting to do since I first read about it on Jamie’s blog (joyride.ca) back in January. 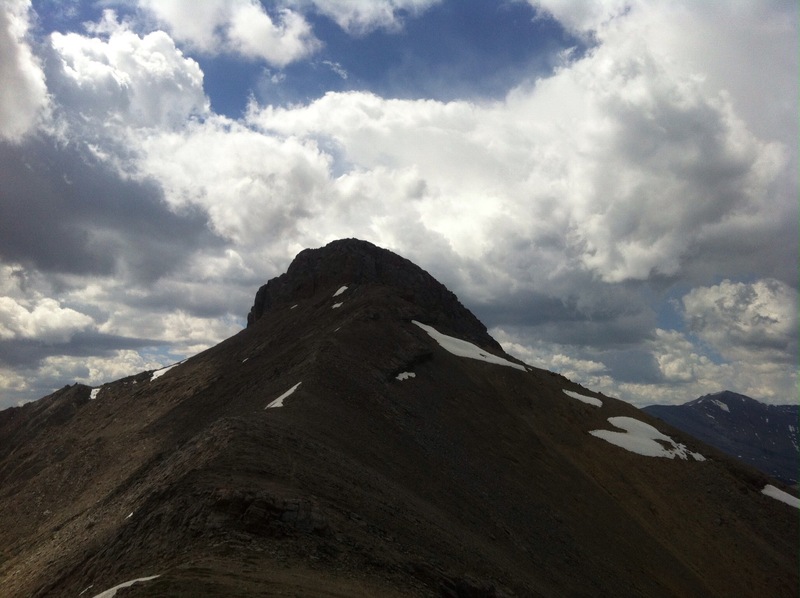 The route was essentially a ridge walk with 6 peaks that you summit along the way. Six peaks and a long ridge walk?! I was immediately enthralled. 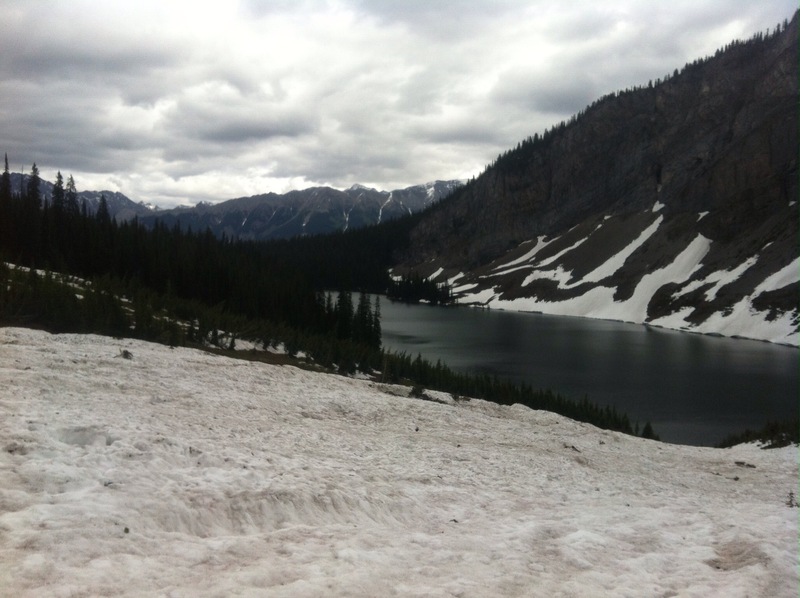 I won’t bore you to death with the details, but the hike was pretty freaking awesome. We tagged 6 peaks (Midnight, Midday, Sunrise, Sunset, Belmore Browne and Tiara) before returning back to the car via Porcupine Ridge. The route made a giant “U” shape with minimal out and backs and perpetual views. 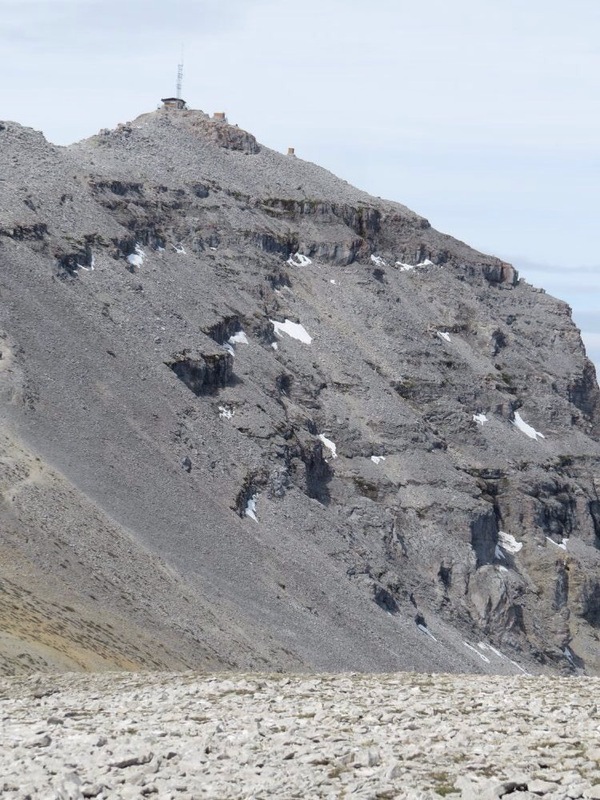 As far as I know, nobody has previously done this route with the Porcupine Ridge return. 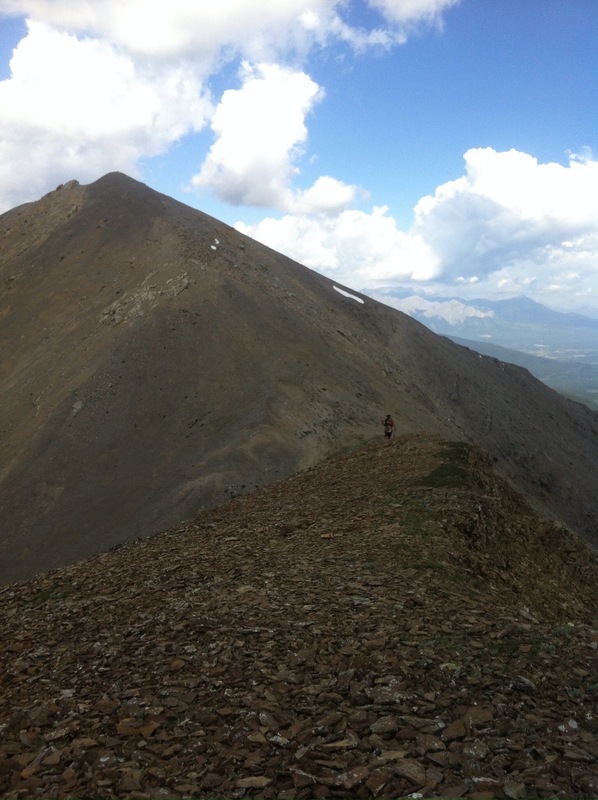 Porcupine Ridge is the most direct way back and it is super fun to scramble along. I highly recommend it. 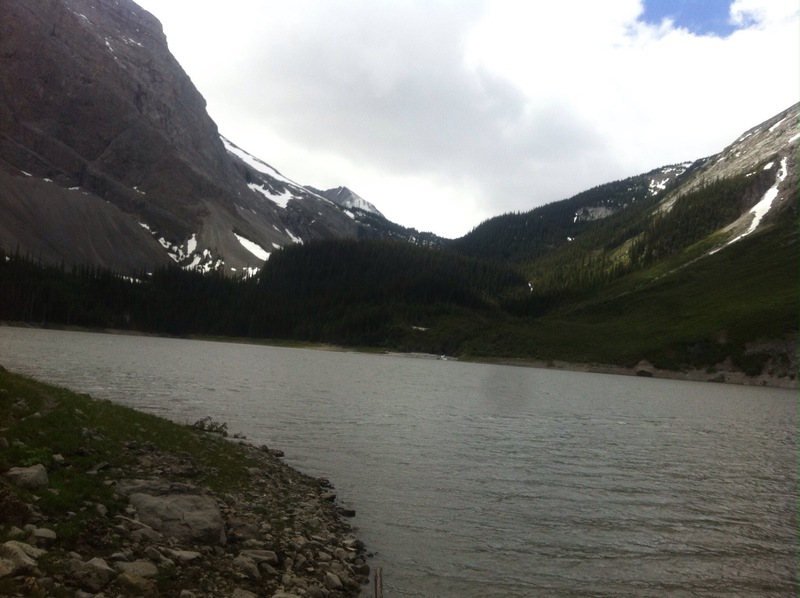 The trip took 9.5hrs with 2300-2400m of gain in 26km. My legs were tired on Thursday, so I went for an easy jog around Jumpingpound Loop to loosen them up. By the time I finished the loop I was feeling pretty good, and already looking forward to a long run on Saturday. Active recovery is amazing! This entry was posted in Uncategorized on June 14, 2015 by joannaruns. Wait a second. You can’t have a “little bit” of gluttony. I guess what I mean is that it could be worse. 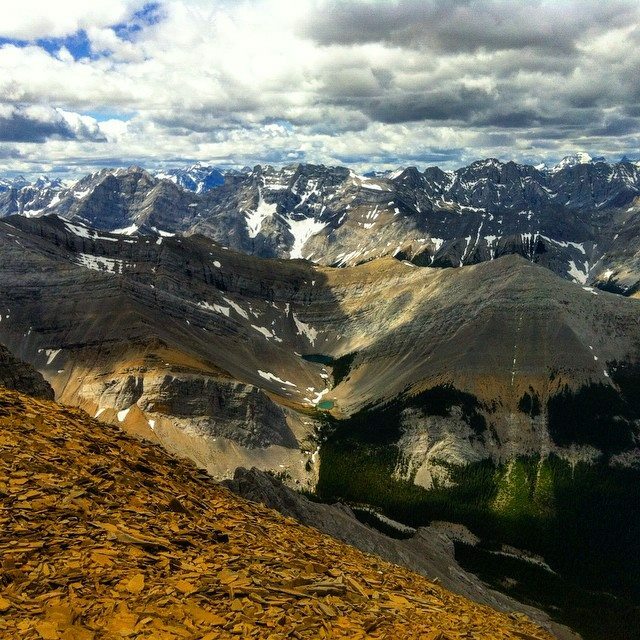 The weather in Calgary has been hot and the mountains of the Front Ranges are snow-free. I know that I need to take the time to recover from Blackfoot if I want to be properly prepared for Sinister 7, but it’s really hard to resist the mountains’ call. I’ve reached what I feel to be a reasonable compromise by going for several hikes at a very relaxed pace. On Thursday I went for a hike up Wasootch Peak with mom. It felt amazing to be back on the trail and in the mountains. We got caught in a bit of a downpour while we were hiking up through the trees, but the storm blew off and we were treated to beautiful sunshine on the final scramble up to the summit. 7km, 910m elevation gain. Hanging out on my 6th unique summit of the year. On Friday I went out for a hike with Jaime, Keegan and Devin. Those guys are fast so I was worried the hike would turn into a more intense workout, but we successfully kept it super chill. None of them had been up Forgetmenot before so I was happy to act as tour guide. Sorry no pics, I was slacking. 10km, 700m elevation gain. I finally went for my first trail run on Saturday. 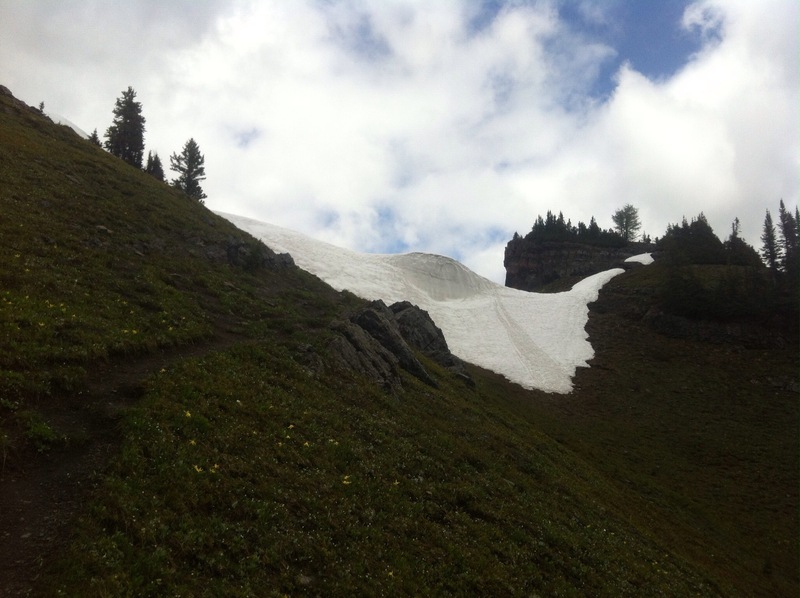 Steph wanted to check out the Powderface Marathon trail so I showed her up the trail to Powderface saddle. We were both struggling a bit with dead legs so we kept the pace easy. It felt great to get a bit of a sweat going and it was fantastic to catch up with Steph. 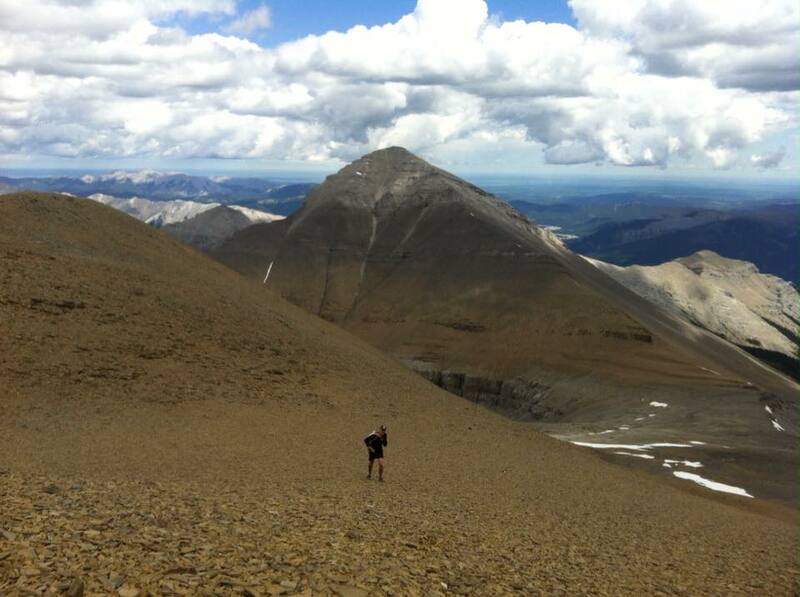 Sunday’s activities included a hike up Moose Mountain with Deb, Jason and Matt. 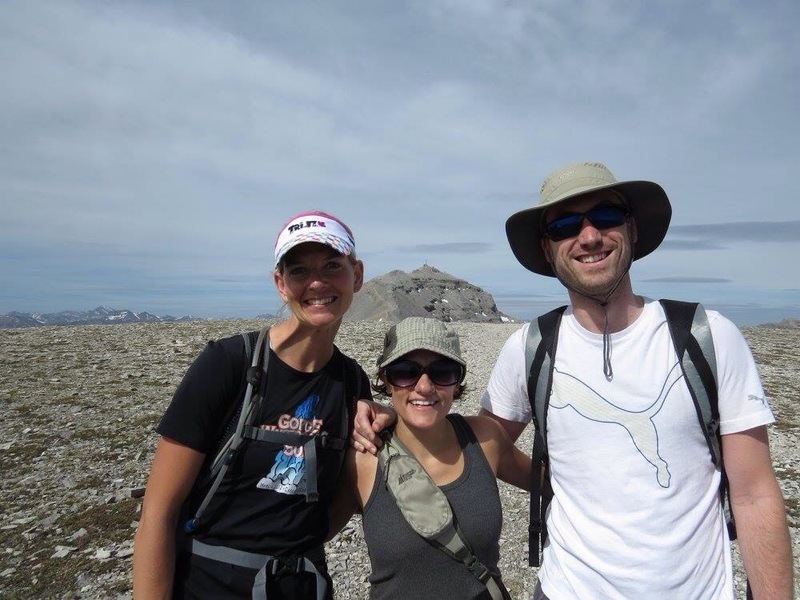 This was Deb’s first time up a mountain and Matt’s first time up Moose! We left Moxie at home because it was smoking hot. On Tuesday I start training for Sinister 7. I’m looking forward to 3 weeks mountain fun! This entry was posted in Uncategorized on June 7, 2015 by joannaruns. I had a lot of trouble getting myself pumped up for this race. Blackfoot is a flatter (3600ft of gain), loop course – which meant that my training leading up to Blackfoot also involved a lot more flat than I’m used to. 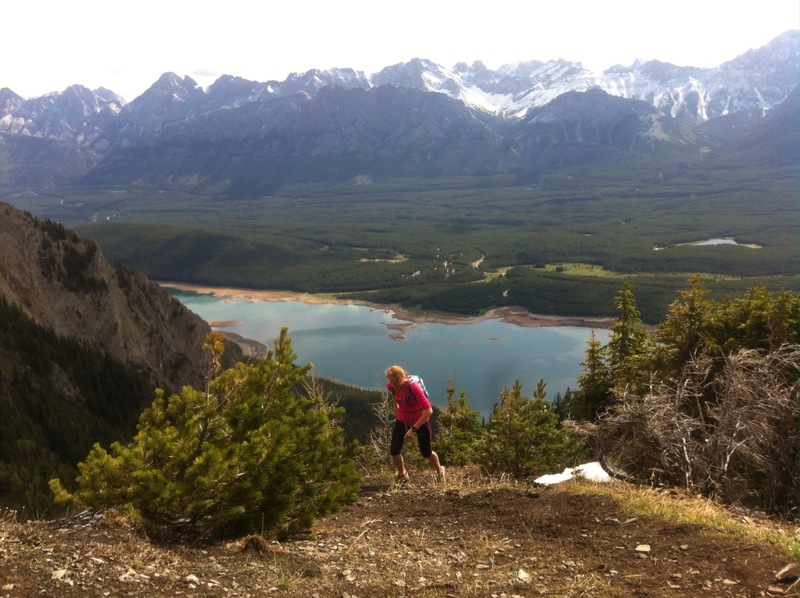 By the time I got to race day all I wanted was to get back to some steep mountain climbs. 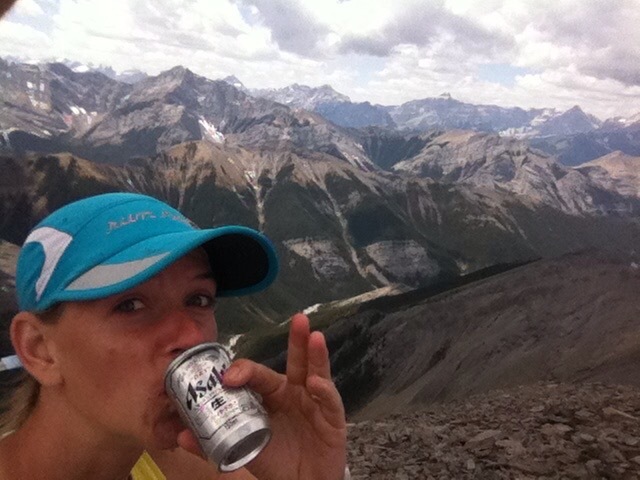 I signed up for Blackfoot because I wanted to test out my nutrition prior to my 100 milers this summer. I’ve been training on 120 cal/hr, but I know that I will need more than that to last for 24hrs+ on the trail. My coach suggested that I try taking a gel every 30 minutes, sip water every 10, and eat a salt tab every hour. I was a little nervous about doubling my calorie intake because of my puking issues from last year, but this was not a focus race so I gave his plan a shot. At 6:30 am I found myself standing on the start line for the 50 mile race. (The race had multiple distances and each distance start was separated by 2hrs). I felt lethargic and sluggish. We ran an out-and-back along the trail for 5km before running 3 x 25km loops. I jogged slowly and I had no desire to go any faster. I was not feeling it. The lead ladies came sprinting back, leading all the men. They looked like they meant business and I wondered how they could possibly maintain that pace. I finished the first 5km in 28 minutes. All I had to do was maintain that pace and I would come in sub-8hrs. I laughed silently to myself, I was already fighting the urge to walk. The trail rolled up and down, left and right. It was really difficult to get any sense of flow. I thought about walking the hills, but they were so short that I just kept running. Another runner pulled up beside me and we ran together for the next 5km. It was his first 50 mile run and he was aiming to finish sub-12hrs. His plan was to run until he was tired, and then walk after that. I wondered aloud, how do you know when your tired? I was tired from the first step of this race and yet for some reason I was still running. I blame my sluggish start on a lack of coffee. I had spent the night at a campground and I wasn’t able to pick up my traditional McDonald’s pre-race coffee. I won’t make that mistake again. No coffee meant that I had a sluggish start to the day and it also meant that I wasn’t able to fully clear out my bowels pre-race. 90 minutes into the run I said good-bye to my RB and ducked into an out-house to take care of business. The rest of loop 1 went by without incident. I passed my RB at an aid station and ran the rest of the way on my own. I was still grouchy and wondering why I was doing this stupid race on this stupid course. 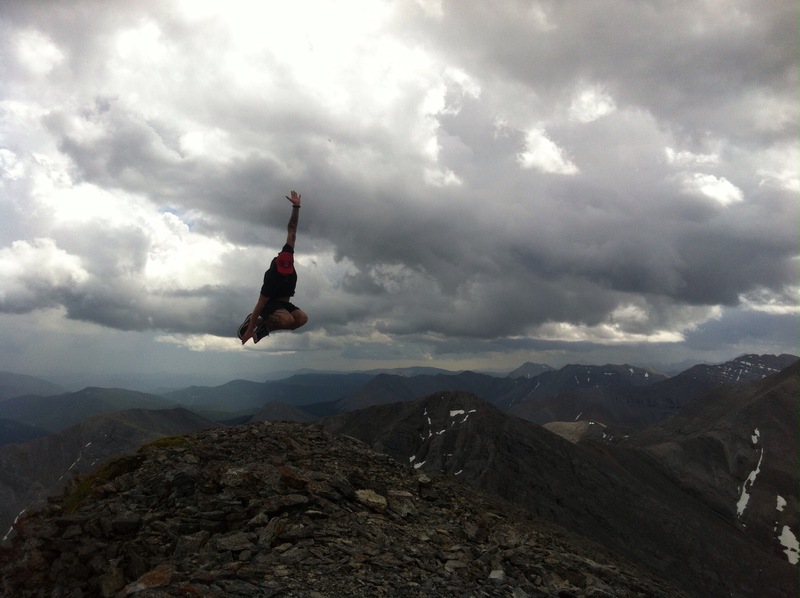 I’m a mountain runner, not a flat runner. I fought hard to combat my negative emotions. I smiled and greeted every runner and/or volunteer I passed. I focused on my nutrition and just kept my legs moving. I would allow myself to walk when I was eating a gel, but as soon as the gel was down the hatch I was back to my slow jog. 6km into loop 2 I ran out of water. It was a warm day and my bowels get upset very quickly when I become dehydrated. 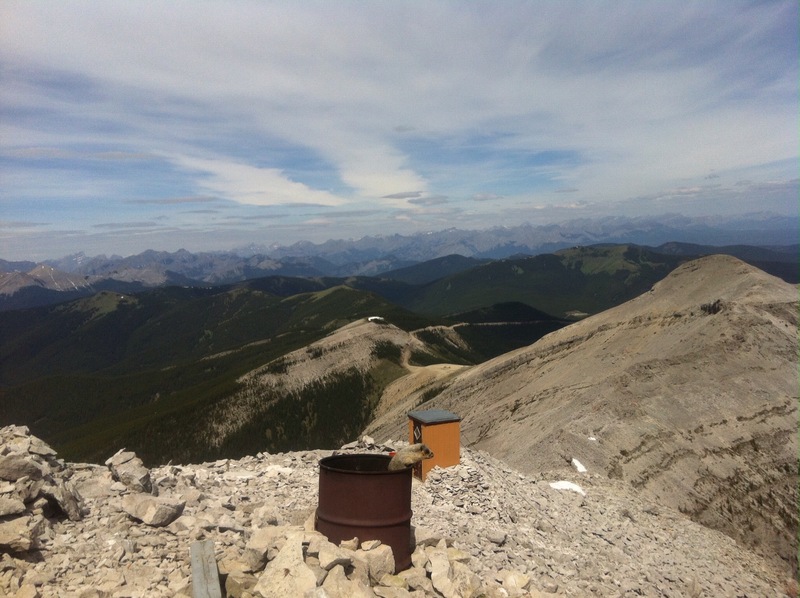 A few kilometres later I was back in the outhouse. After that I picked up the pace a bit so that I could get to the next aid station without having lost too much time on the loop. It only took a minute to refill my pack before I was running down the trail again. Loop 2 finished, still on pace for sub – 8hrs. I felt exactly the same as when I started – sluggish, lethargic, but not really any worse. Scott (my new running friend) and I ran the first few kilometres of Loop 3 together, but I was finding the talking exhausting. I slowed to a walk on a hill and let him go ahead. He was the only person to pass me all day from any race distance. Unfortunately, he took a break at the next aid station and I wound up surging ahead. In a day of almost continual lows, my lowest point was from miles 40-45. I was continually passing runners of various distances and they all looked like zombies. It was not motivating. I needed someone to chase, but the race course was constantly winding and I could only see about 100m ahead at a time. At this point the only thing that was motivating me to keep moving was that magic sub-8hr finish time. I watched the clock closely and I knew that as long as I didn’t fall apart that I would make it. There was no finishing kick, but I kept steady and crossed the finish line in 7:56. I was ecstatic! It was the perfect ending to a gruelling day. I came in 3rd lady and 4th overall. The top lady also chicked all the men in a time of 7:2x. Second place lady finished less than 2 minutes ahead of me. I’m very happy with my mental toughness during this race, but I’m a little annoyed with myself that I didn’t push harder to catch the second lady. She was obviously struggling just as much as I was but she employed a great race tactic with her speedy out-and-backs. Based on my even splits and lack of stomach issues I would say that the nutrition strategy was successful. I will continue to work on drinking more water. I was very stiff post-race and for me that usually is a sign of dehydration. 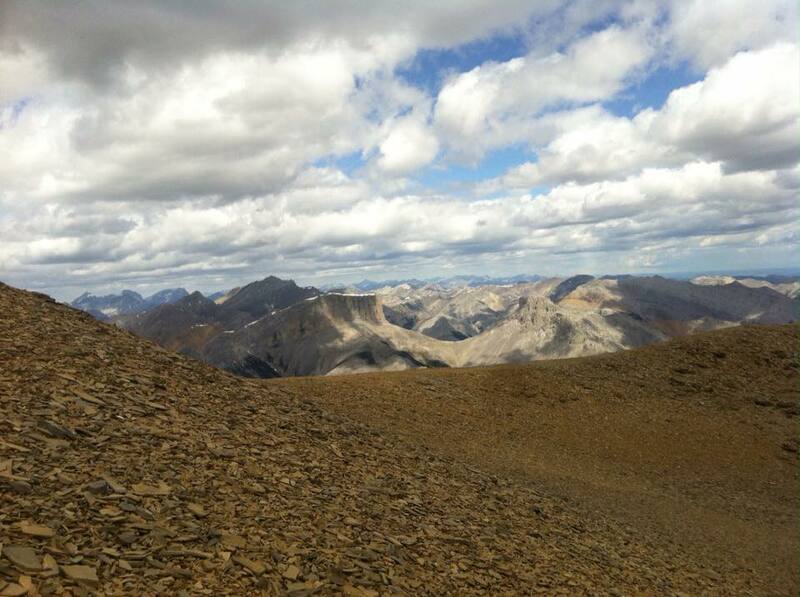 I’ll rest for the remainder of this week, and then I’m back to my mountain running! I cannot wait! This entry was posted in Uncategorized on June 5, 2015 by joannaruns. I originally posted this race report over on Runnersworld, but I’ve decided to consolidate everything on this blog in the hopes that it will encourage me to post more frequently. Enjoy. Before I get onto the race portion of this blog, I want to tell you a little bit about our mini-vacation. We left Calgary early Wednesday morning for the 11hr drive out to my sister’s place in Vancouver. Along the way we stopped at A&W and enjoyed some deliciously juicy burgers on the shore of beautiful Three Valley Gap Lake. 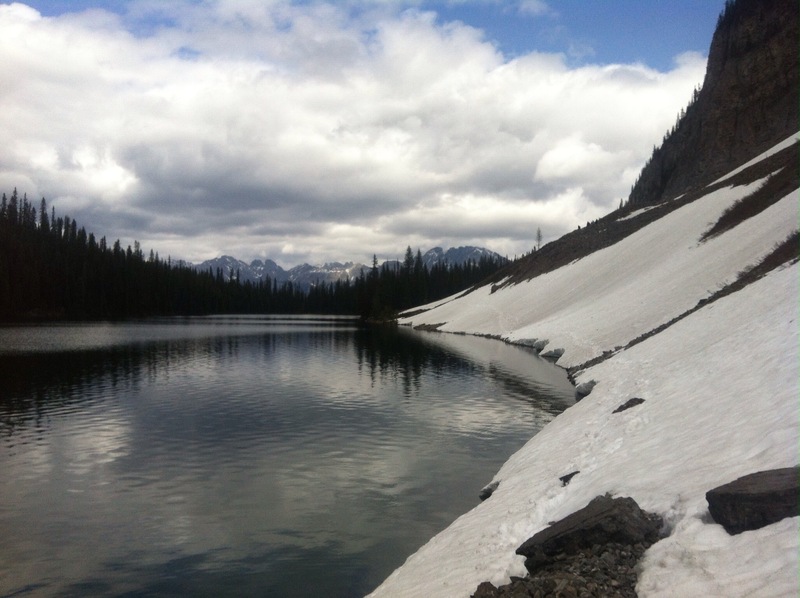 We got to Vancouver 2hrs before my sister got home from work, so we killed time by hanging out at Allouette Lake. I went for a quick trail run while Matt sat by the shore and read a book. I did a couple of pick-ups during the run and my legs felt great. After the run we went to a local pub for dinner. The food was terrible, but when you’re paying $7 for a steak dinner what do you expect? We followed up dinner with several beers back at my sister’s and forgot all about the crappy food. Overall, it was a great start to the trip. Thursday was a beautifully sunny day. Normally when I visit Vancouver I am greeted by torrential rain, so we took advantage of the good weather and went for a steep hike up to the first peak of The Chief. It was supposed to be a rest day, but it’s not like we were hiking fast so I justified it to myself. My sister and I on The Chief. We followed up the hike with mounds of sushi, some play time on the beach, and a few more beers. I also finally won a game of Settlers. I think the trip could have ended here and I would have been happy, but there was more good stuff to come! Friday involved a lot of lazing around and eating. We had plates of pasta and crepes, which were masterfully cooked by my brother-in-law. I drank more water and less beer. I also went for a 30 minute run on the roads. My legs felt spunky. On Saturday Matt and I woke up early for the race. We each had a cup of coffee. I also had some toast with peanut butter and honey, my normal breakfast before a long run. We drove out to the race course without any issues and parked right at the start/finish line. I love small races. My stomach was full of butterflies so I took a ginger Gravol. I had two goals for this race; finish and don’t puke. Everything else was gravy. We met up with my friends Kim and Adam who had also driven out from Calgary for the race. Kim and I do a lot of our long runs together in the summer, but she has much more of a speed focus than I do so I can’t keep up with her on the short stuff. In my mind 50km is borderline “short” so I was fairly confident that she would finish well ahead of me. Adam, Kim and I at the start. There were some last minute announcements from the RD before we lined up at the start. We had already received an email stating that we would have to run an alternate route because of high water levels along the lake. The alternate route added about 2km and 200m of gain to the original course. The original course is short and I like climbing, so the alternate route sounded like a bonus. The RD announced that there was an additional change to the course that was just decided on that morning. A trail which had been closed for years had reopened, which meant that we got to run on the trail instead of the road. I’m always happy for more trail; more good news! The race began and we took off down the road before turning onto a rolling lakeside trail. I counted 5 or 6 ladies ahead of me and men were zooming by on either side. I stuck to my easy rhythm. 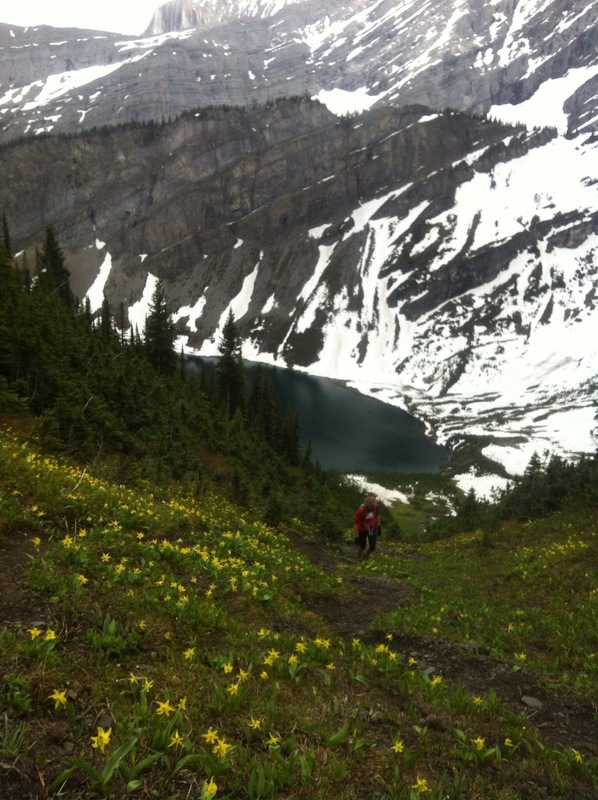 We left the lake and began to climb up the saddle towards the Diez Vista trail. We were on double-track trail, but it was a fairly steep slope and I transitioned into a power-walk. It wasn’t long before I started passing people. The Diez Vista trail is super technical single-track. I hiked it once with my mom years ago, and I remember wondering how people ever managed to run on that trail. This race was my chance to find out! The trail climbed steeply and I continued my hike, sometimes using my hands to get up the steep switchbacks. 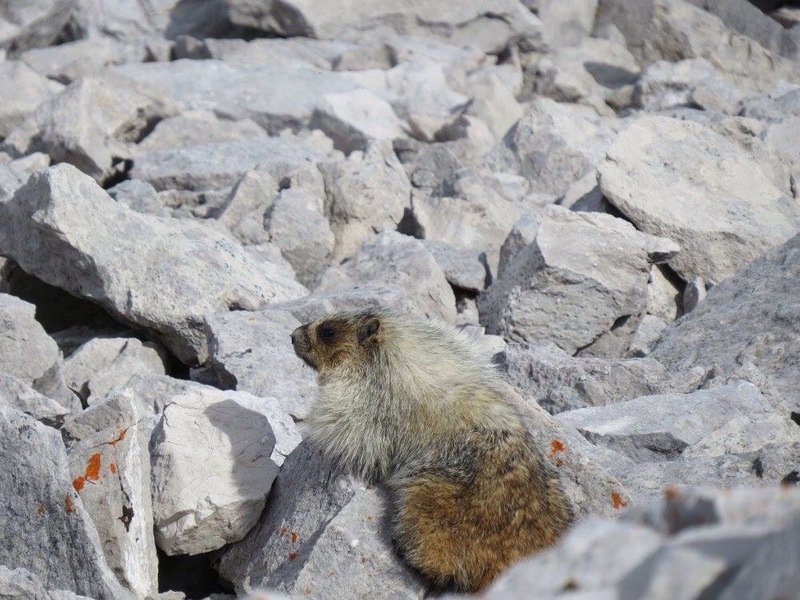 I continued to pass people on the way up and I wondered if maybe I was hiking too fast. When the trail leveled off I was in No-Man’s Land. I hadn’t caught up to the lead pack, but I seemed to have broken free of the mid-pack. The route was well-flagged but the trail was so technical that it just looked like forest; roots, rocks and mud. I didn’t dare look up while I was hopping over the roots and rocks, but I couldn’t distinguish the trail from the forest. I had to look up in order to follow the flags. It was really slow going, and it got even slower as I began the steep descent back to the lake. Soon all the people I had passed on the climb caught back up to me. They obviously knew the trail and were used to the terrain. I would tuck in behind someone and try to mirror their footsteps. As long as I could see them I didn’t have to look up for the flags. I didn’t have the confidence to keep up at their pace for long, but it certainly helped to follow even for a short while. It was during the descent that I caught up to Kim. She was struggling with the terrain as much as I was, so we descended the rest of the mountain together. I really wanted Kim to have a good race so when we hit a road section I encouraged her to go ahead even though it was clear that she wasn’t really in a racing mood. She did end up going ahead a little, but then she stopped at an aid station and I carried on through without stopping. It wasn’t long before we were back on the trail and running together. 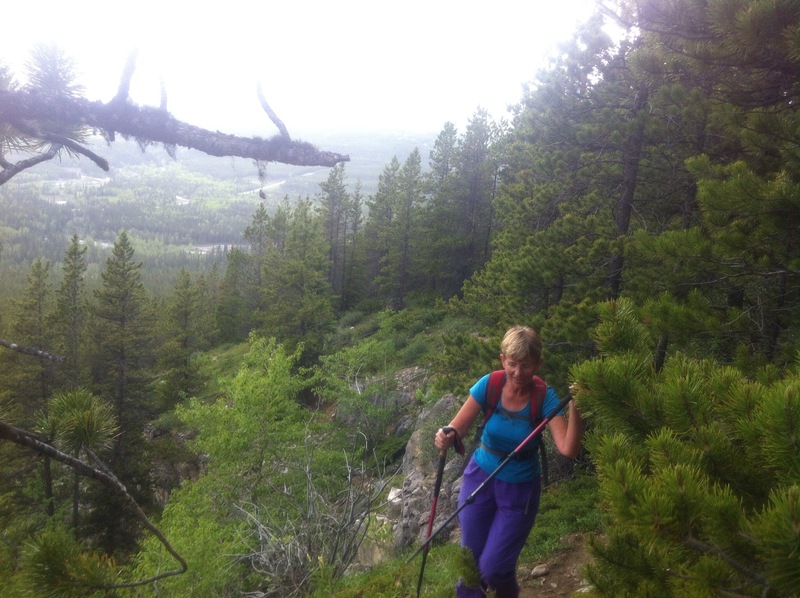 We found some non-technical downhill and I encouraged to her run ahead and enjoy letting her legs go. I had fun trying to keep up behind her. At the bottom of the hill there was a wooden bridge with a hard left at the end. I planted my foot to turn left but it slipped on the wet wood. I went down hard on my knee and a wave of pain washed over me. Kim hadn’t seen me fall so she had already run on ahead. I took the next couple of kilometers gingerly until the pain in my knee subsided. The route continued on rolling trail with the occasional section of gravel road. There was, in my opinion, just the right amount of root and rock on the trail to keep things interesting. I ran steady, wondering if I should incorporate walk breaks, but I didn’t feel like walking so I didn’t. I refilled my camelback at AS#4; this was the first AS that I stopped at. Matt was there and he told me that I was in 4th or 5th place. Really?! I thought there were more ladies ahead of me than that. I thought back to the entrants list. Who was in front of me? Suzanne Evans – perennial favourite and course record holder. 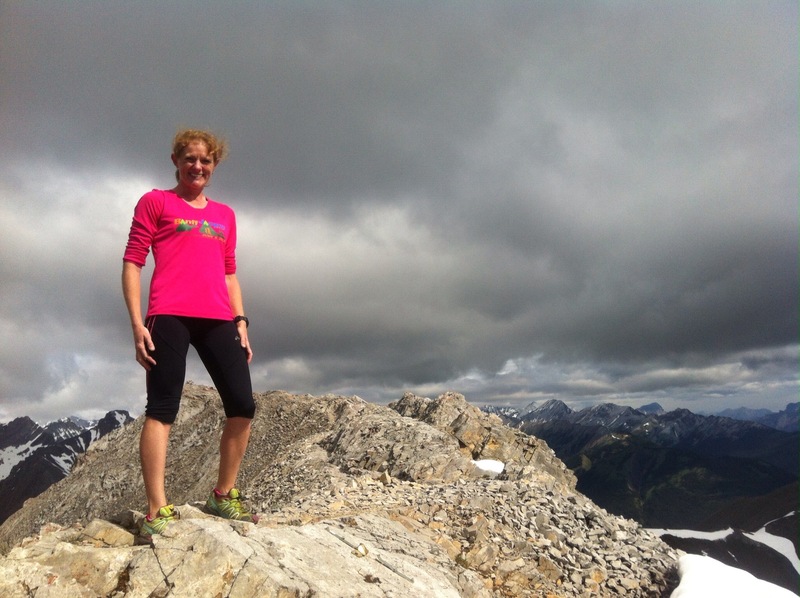 Kim Magnuss – super speedy lady who beats Ellie Greenwood over shorter distances. I had no confidence in my ability to beat those ladies so I focused on not letting anyone catch me. I continued to run at a steady pace and found myself passing a few more guys. No women in sight. With all the course changes I had no idea what to expect from the course profile so I found myself always holding back just a little bit. You know, just in case there was something nasty around the next corner. After a long climb the trail dropped down a series of switchbacks. I felt my stomach grumble. I had had to go poo since AS #4 (where there were no washrooms) and had ignored it. Downhills always make the urge more insistent and I found myself eyeing the bushes, looking for a private spot. I came around a corner and there was Matt cheering me on, camera in hand. There was also an AS complete with an outhouse! I was so excited not to have to use the woods! Matt had been timing the ladies ahead of me. I was 14 minutes off the lead and 2 minutes behind Kim. Again I was shocked. I felt like the lead ladies should have been at least 20 minutes ahead, if not more! I didn’t time myself, but with the outhouse stop I probably spent 2-3 minutes at that AS. The AS was followed by a long climb. I love climbing and I embraced the solitude of the forest. Suddenly a runner came FLYING down the trail towards me, and I realized that this must be the out-and-back portion of the trail. It was seriously impressive to see that guy hurtling down the trail. I didn’t see anyone else for a long time, but eventually some other guys appeared running down the trail towards me. Where were the ladies? Finally I caught sight of the lead lady as I came around a corner. I checked my watch. 2 minutes later I spied the 2nd lady and 2 minutes behind her was Kim. Kim looked to be in a great mood and I was so excited that she was having a good day. No puking! 3 minutes after seeing Kim I found myself at the turn-around. I had been running downhill for the last few kilometers, now it was time to hike back up. My stomach felt a little off so I took a ginger Gravol, a salt tab and drank some more water. Soon I crested the top of the hill and it was time to run back down the switchbacks in the forest. I knew that there was approximately 10km left (give or take a couple km) and I also knew that there was one more significant hill. I was tempted push as hard as I could on the downhill, but I decided to keep it at 90% effort. I felt smooth, my stomach had settled and I was really enjoying the day. Before I knew it I was at the last AS and headed up the final climb. I attacked the climb, knowing that if one of the other ladies was struggling, that this was where I could make up time. I didn’t catch anyone on the climb. The descent towards the finish line was highly varied. 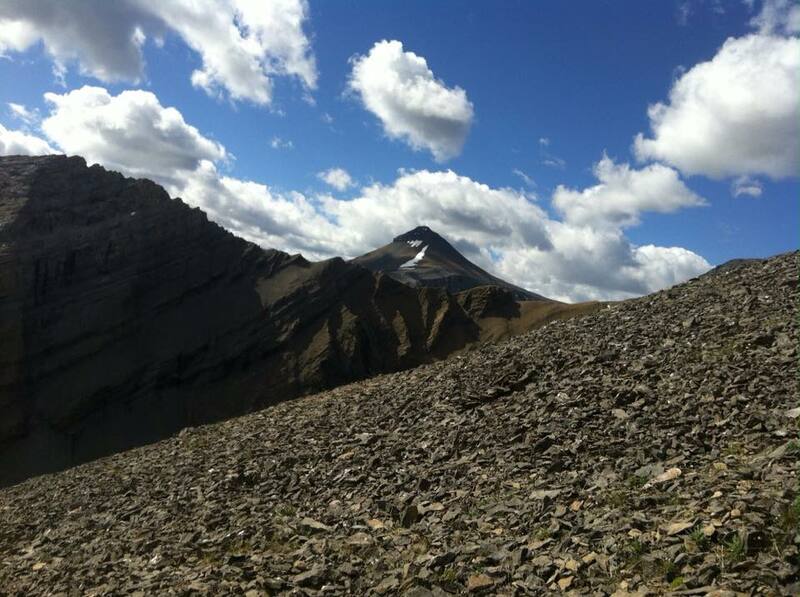 Sometimes smooth, sometimes very steep and sometimes covered in loose rock that threatened to break your ankles. I wasn’t willing to get hurt at this stage so I kept the effort at 90% all the way through to the finish. When I got to the finish line I was ecstatic. I really wanted to finish under 6hrs, but I hadn’t allowed myself to focus on that time because of all the course changes. My finishing time was 5:51, 4th lady and 14th overall. 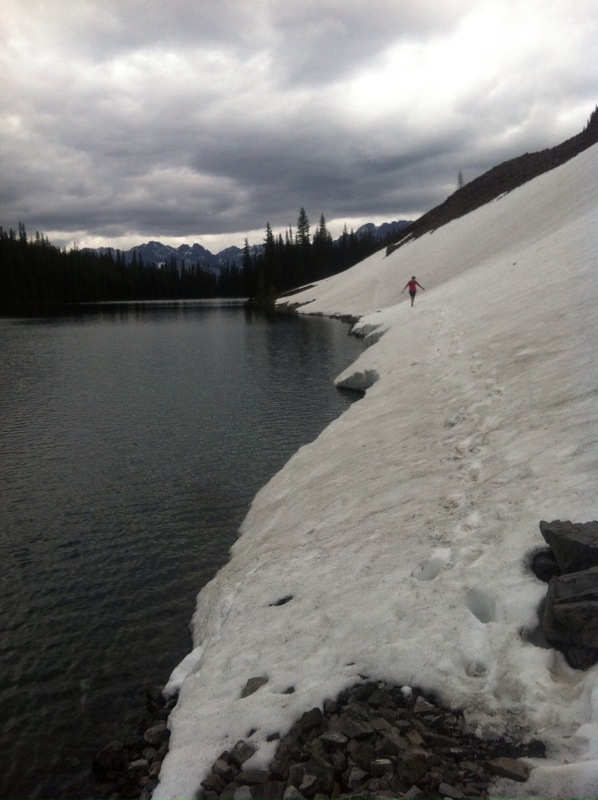 Strava says I ran 50.2km, with 7500ft of gain – I have no idea if that is accurate. I finished 9 minutes back of Kim, who had a great final 20km and 17 minutes back of the winner. By ultra-standards 17 minutes is not much. Looking at the results I can hardly believe it! I won’t say that I’m thankful that all the hard work paid off. 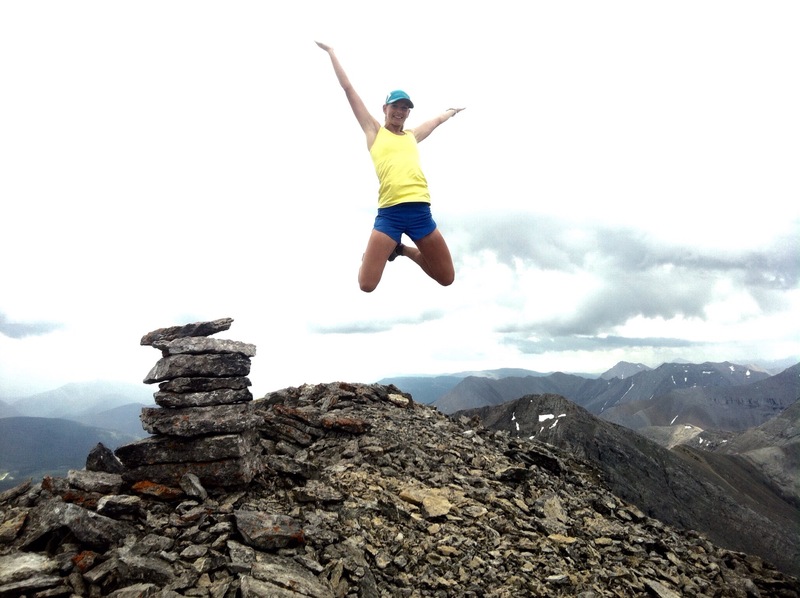 I don’t like to call my training ‘hard work’ because I love trail running and I am always excited to go out and run. Running is not work that I have to do, it is something I get to do and I am thankful for every day that I get to lace up my shoes. I will say that I am very happy to have run a consistent race that represented my ability and fitness level. I am thankful to have a great support network that fully supports my running/mountain habit. 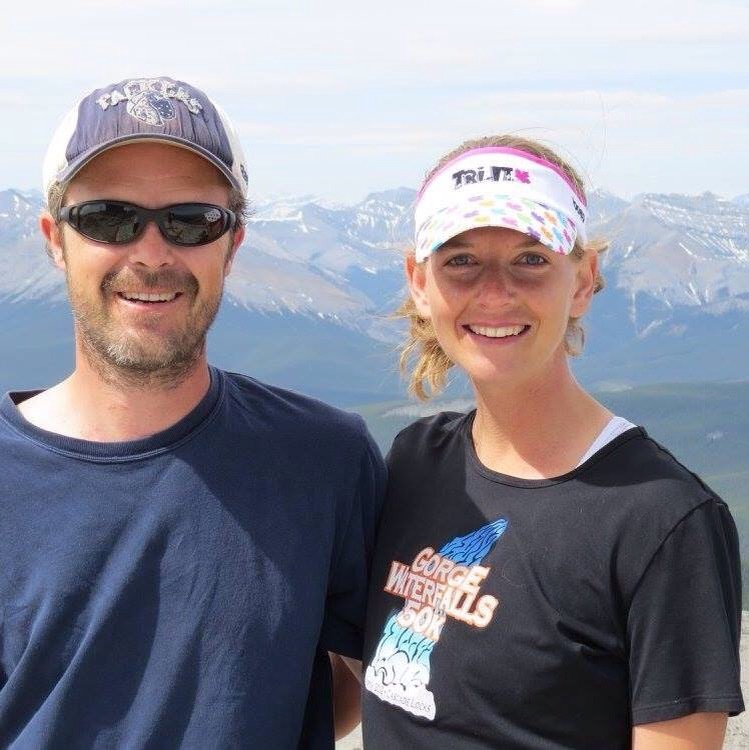 My sister and brother-in-law are always happy to have us crash on their floor, my running friends/enablers who join me on the trails, and my coach who helps keep me focused. 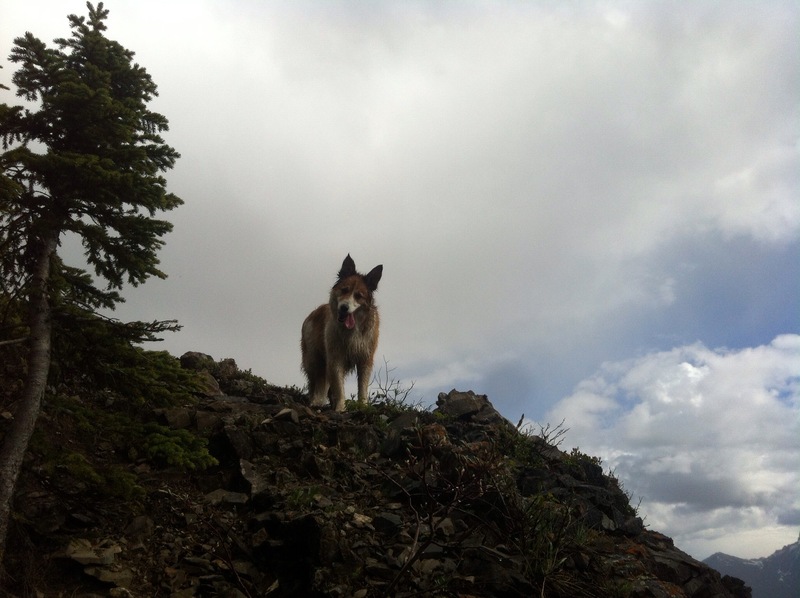 Most of all my husband – this mountain addiction is very time consuming. He never complains about the long hours I spend out on the trails and he always ensures there is a meal ready for me when I get home. He is also my biggest fan at all my races – his enthusiasm pushes me to strive for my best. Time to Resurrect the Blog? I think it’s time to try this blogging thing again. 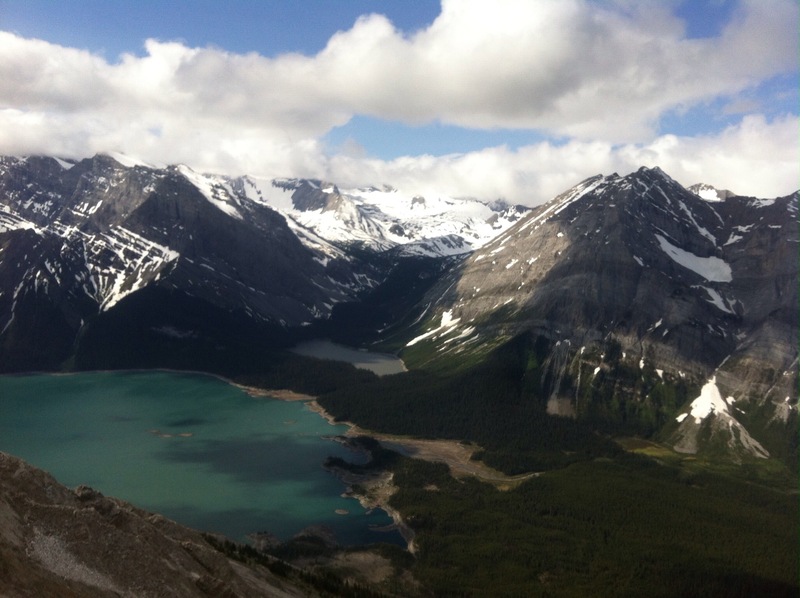 4) Tunnel Mountain – the double! Boo!! I can’t find the photo. I swear I was there! 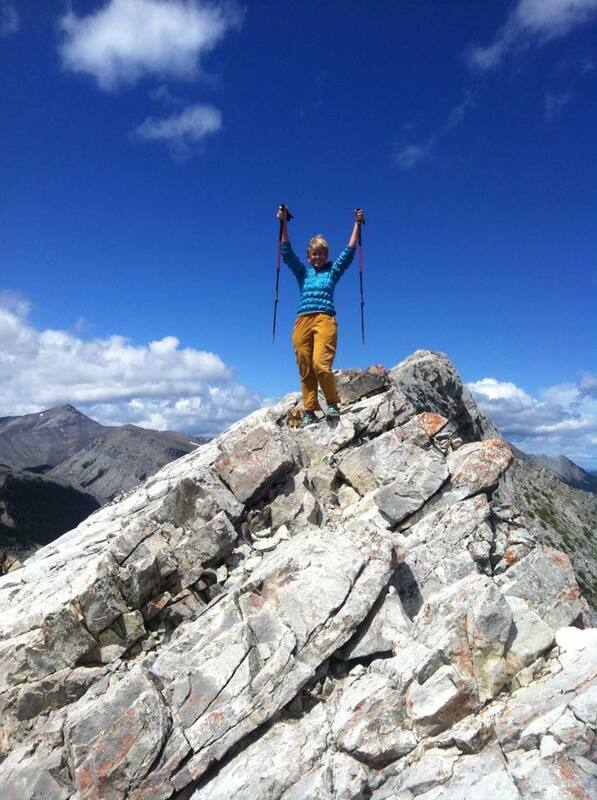 5) High Dome Mountain – my first California summit! 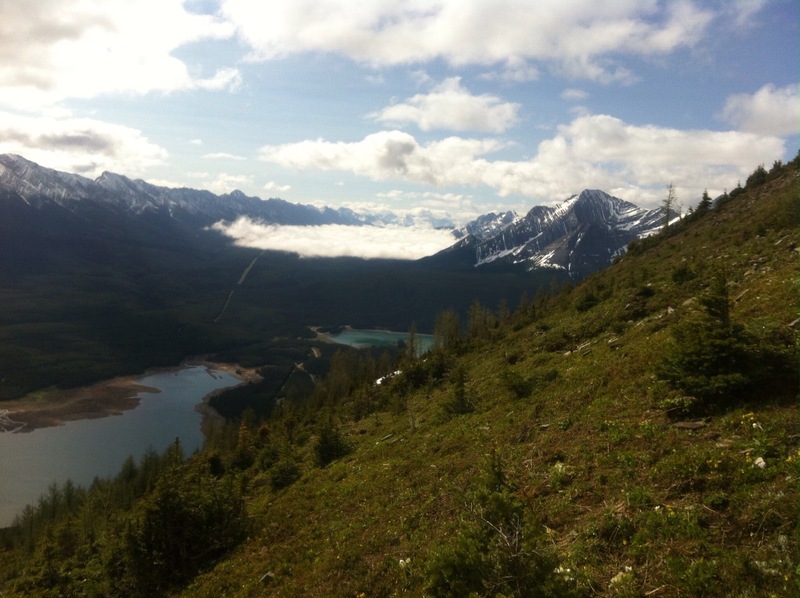 6) Gleason Ridge – a May long weekend adventure! 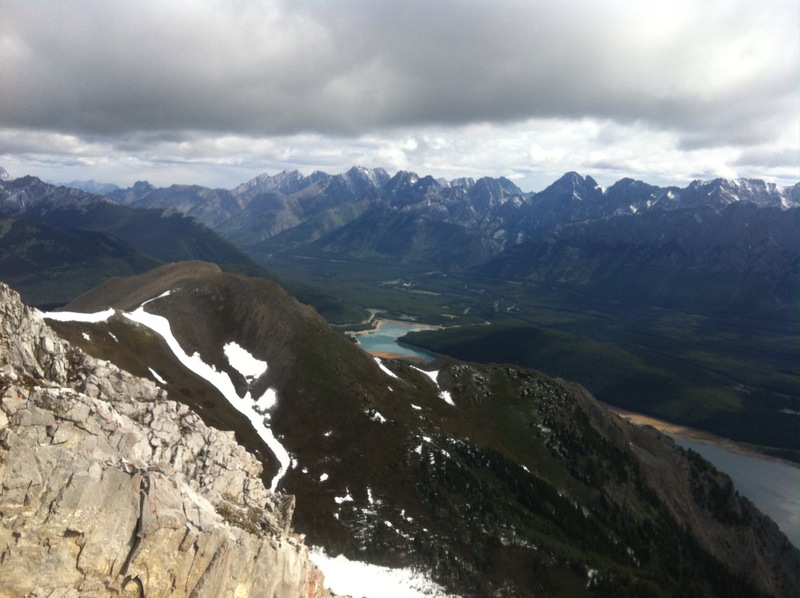 9) Mist Ridge – a very rough day. The scenery was beautiful but I felt like hell. 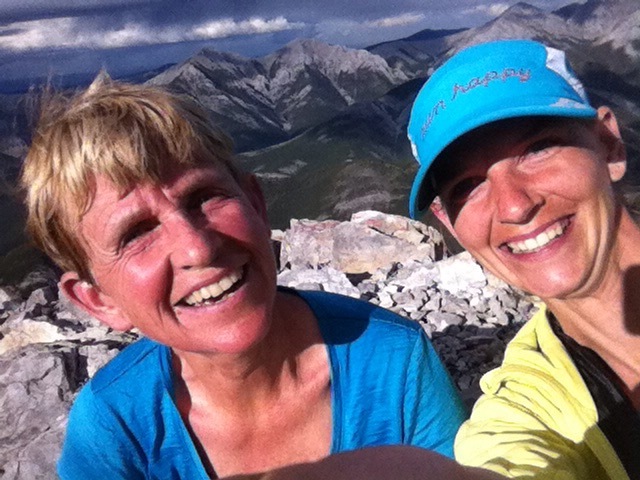 10) Heart Mountain – I took my friend Del on her first Canadian scramble! 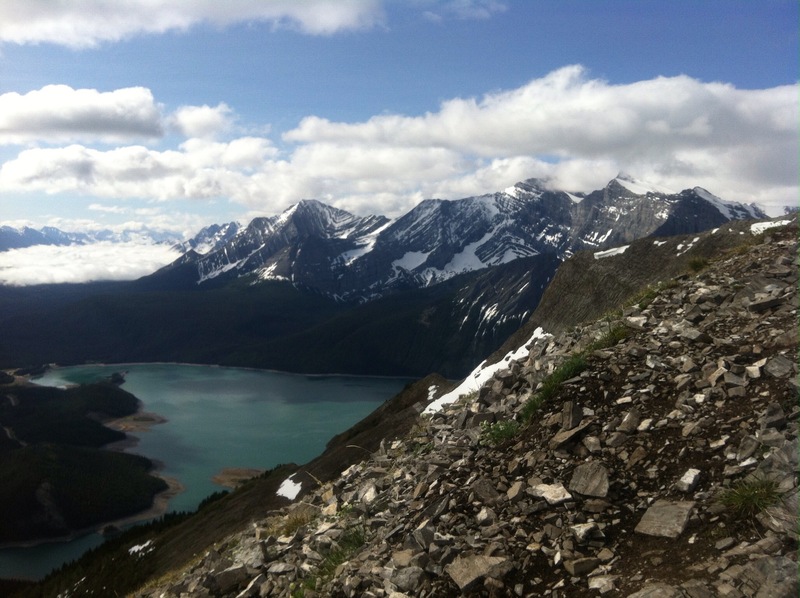 11) Mount Rae – a scramble up the highest peak in the Front Ranges! 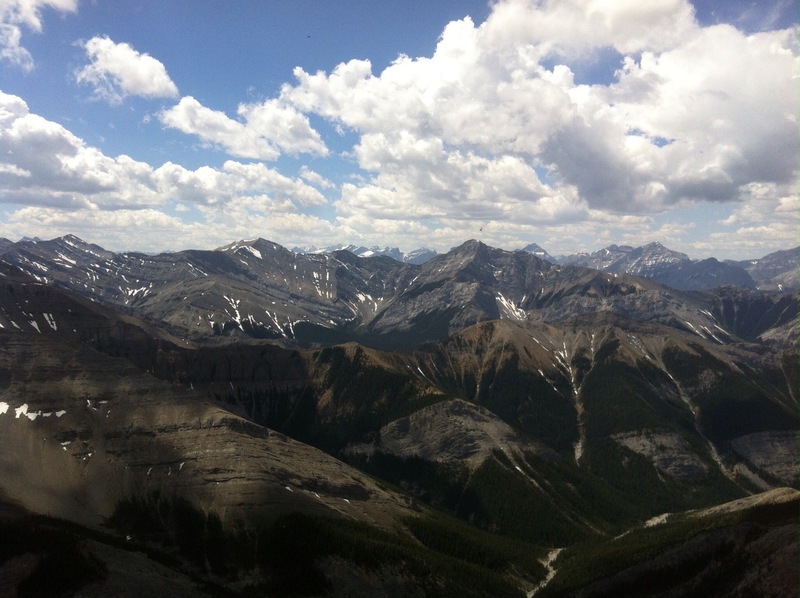 13) Tent Ridge – stunning!! 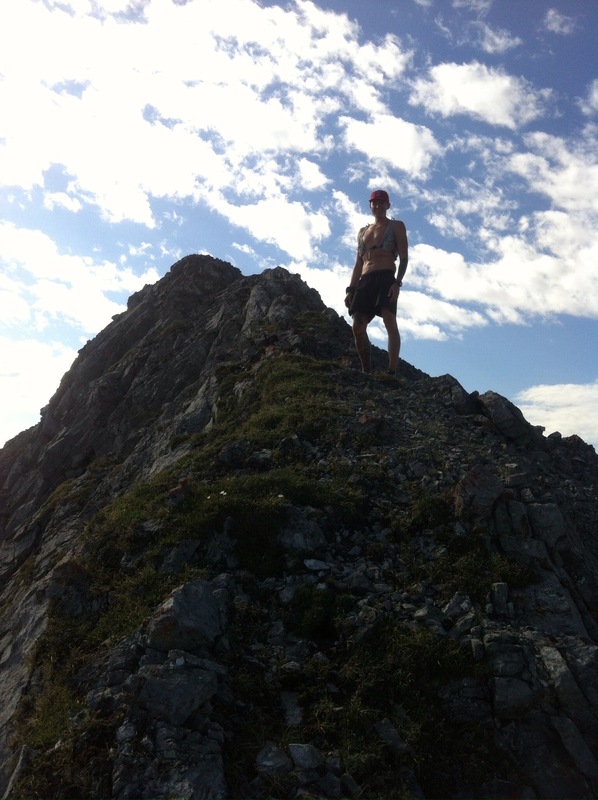 14) Forget-me-not Ridge – a quick solo jaunt after work. Why don’t I run up here more often? 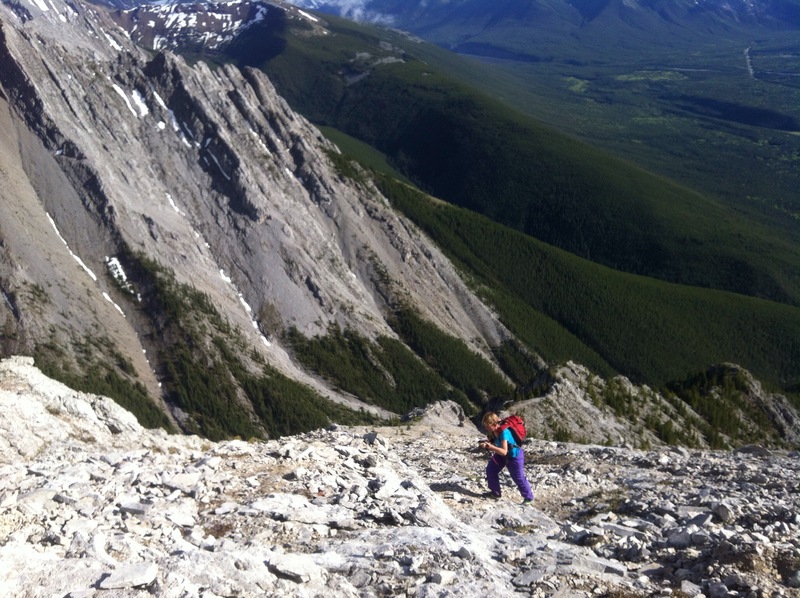 15) Pocaterra Ridge – a bucket list run completed after a freak snowstorm. It did not disappoint. 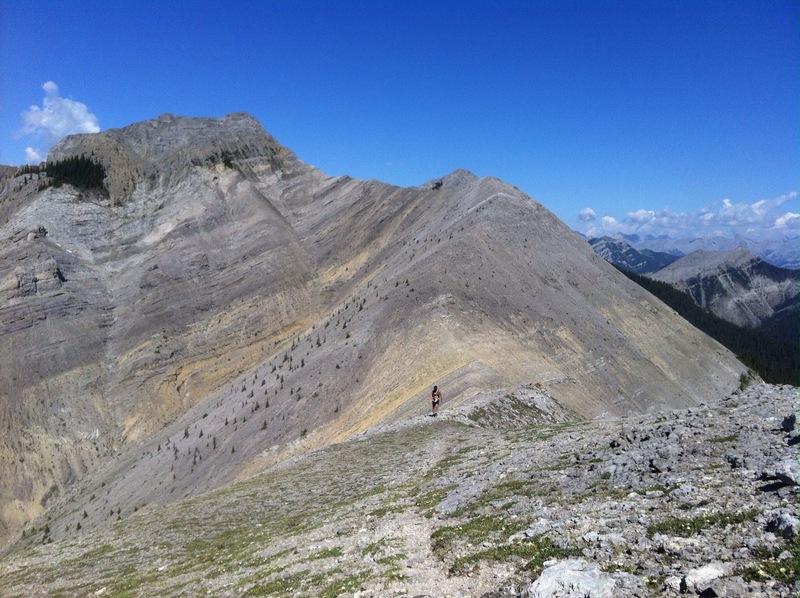 16) Wasootch Ridge – a very fun route! 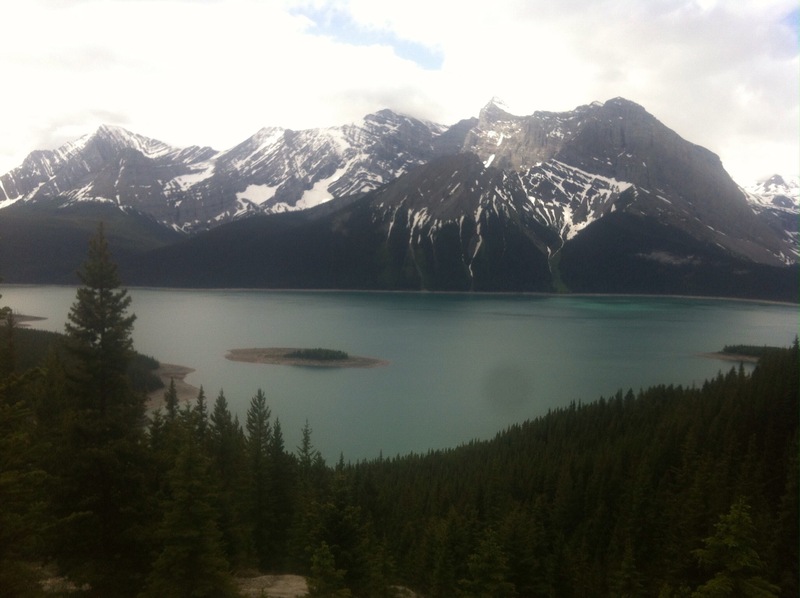 17) Mt Revelstoke – a short detour from the beautiful Jade Lakes. 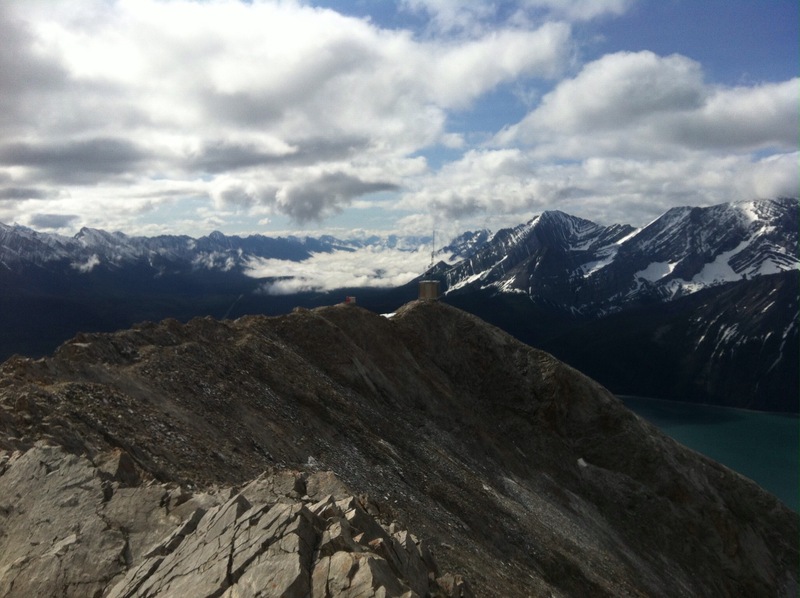 18) Windtower – a very fun hike despite the dense cloud. 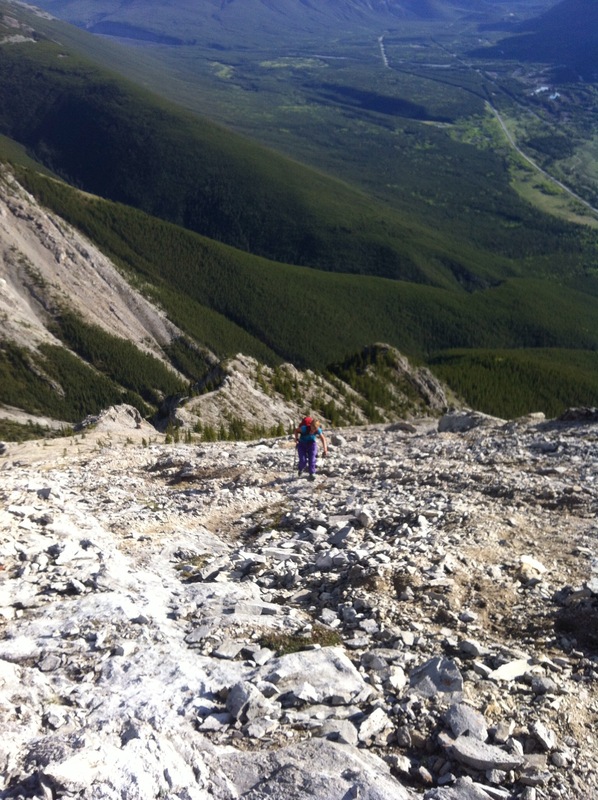 19) Porcupine Ridge – I was surprised to find that this was more of a route than a trail. The views more than made up for the navigating issues. 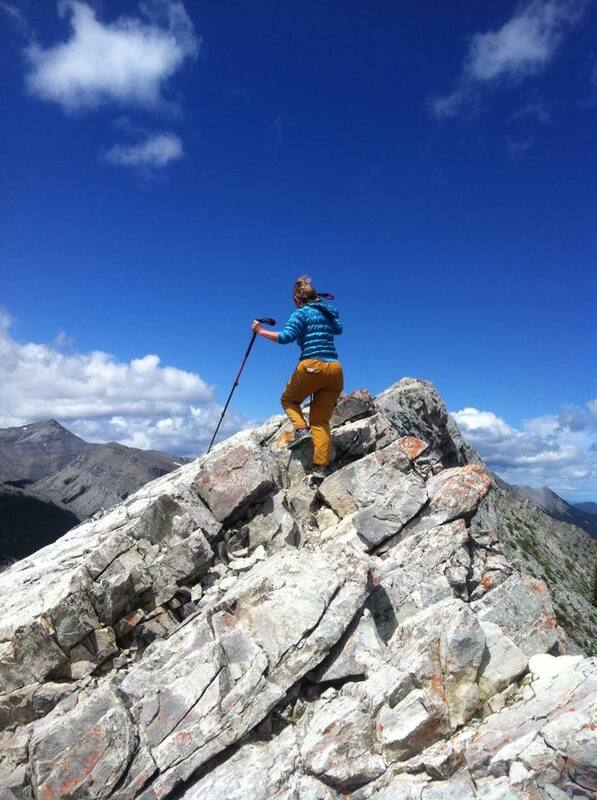 21) Unnecessary Ridge – The second summit of my north shore adventure, and the best mountain name ever! 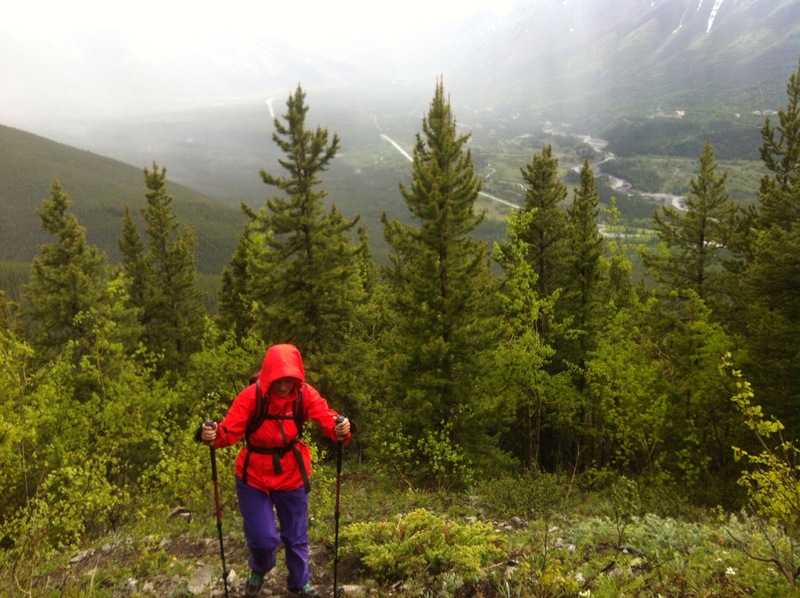 22) St James Summit – Too much rain for a photo, and deep into my north shore adventure. I was in a hurry to get down. 23) Pigeon Mountain – Nothing like watching the sunset from a mountain summit. I had a pic, but I’ve lost it. You’ll just have to believe me that it was a beautiful evening. So far this year I think I’m at 5 … but that’s for a separate blog post. Happy Trails!